This episode is all about momentum. Getting it. Keeping it. Why it’s necessary. How to harness it. And how it can be intimidating. Clyde makes cameo noises again, like the cutie he is. We discuss trains leaving stations, how momentum builds, how new demons show up, Resistance (my favorite), and how there’s always something in the proverbial box (not like this box, a much sweeter more imaginative and less gross box). Plus, there’s some talk about improvisation and dating…two activities that are both super fun on their own that become significantly less fun when you overlap. Take it from me (and my mistakes). Subscribing and rating help the show get momentum (what we’re talking about!). But listening keeps it going, so thank you, as always. I had to check myself before I wrecked myself the other day. It was the first Saturday of the New Year and I went to the gym in late morning. And, to no surprise, it was packed. And, unfortunately also no surprise, I immediately became a brat about it. As I walked in and looked at the crowds of people on the machines and on the equipment, I got testy. I kept thinking somehow they were in my way. I felt so self-righteous that this gym was my gym. And that they were in my way. And how dare they even consider slightly inconveniencing me. In short, I was a little biatch about it. 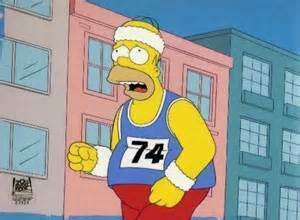 But halfway through my workout (when the endorphins started kicking in and I was calmer than before), I realized I was the one with the problem. Here are a bunch of people who, sure, don’t really know what they’re doing yet at the gym. But you’ve got to start somewhere. They were not at all getting in my way. It’s not like I go there with a really clear training plan of certain exercises I have to hit and certain goals that have to be attained. Usually I go with a body group that I’m going to focus on for the day. And then I look around and see what’s available. These people weren’t my enemies. They were my new friends. Sure, many of them may not stick around past February. But some of them will. Some of these people will have made it their New Years Resolution to get in shape and go to the gym all the time, and this will be the very exciting start of that journey for them. These are more people I now have something in common with. New people with whom I can talk working out with. New people who can complain about the lazy people who don’t return their free weights with. It’s so easy to think you’re entitled to something. So much of our world today makes you believe you are entitled to whatever you want in the exact circumstances you want it and exactly when you want it. IWWIWWIWI, I believe is what it’s called (I Want What I Want When I Want It). I wanted to have the gym completely quiet and to myself. I wanted to be able to choose any time and go without any convenience to me. I wanted to have access to all the equipment I could possibly want for my workout at any given time even if I wasn’t using it or didn’t end up needing it. I’m not proud of my attitude that day. But I am glad to be reminded that it’s so easy to fall back into a negative mindset. It’s easy to forget that other people are not your enemy. I live in Los Angeles…like millions of other people. If I start getting frustrated at crowds or traffic or whatever, I’ll never be satisfied in this city. Or any city. In fact, if I start wanting everything in my environment to be exactly how I want it without any distractions, I might as well move to a tiny hermit shack in Montana and hide from the world. I’m not proud to say that I’ve considered this at times. Then I remember, I love people. I love LA. I love being out of my comfort zone and having shared experiences and the excitement of a crowd. The only reason there’s even a gym close to me is because there are lots of other people who are members. I don’t keep it alive on my tiny membership fee alone. If there weren’t lots of people who belonged, I’d have to go somewhere else. So I have to wait an extra few minutes for the leg press machine in January because some girl is doing 20 sets of 10 lbs. Whatever. No big deal. She’s gotta start somewhere. And I’m not going anywhere. So I’ll wait. And I’ll be sure to check myself before I wreck myself. It’s back! And we’re gonna have new episodes every other Tuesday that talk about comedy and happiness, two worlds that I think should intersect more than they do. 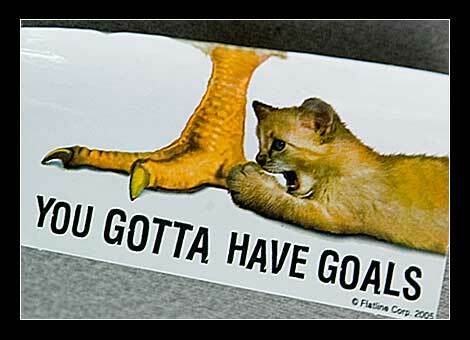 This episode we talk about one of my all-time favorite things… GOALS! I talk about a Dungeons and Dragons dice and how you need to sleep to be productive. I mention my new Kurt Vonnegut picture (and how he’s one of my favorite authors). I also mention how people feel the need to lose 10 lbs, sodoku puzzles, the Second City Chicago, and SNL. And wrap it all up with a Pinky and The Brain reference before mentioning my own new goal and organization consulting business, Reasonable Revolution. I can’t stop. I won’t stop. I refuse to let Femoir: The Podcast fall by the wayside. And that’s why we’re back. 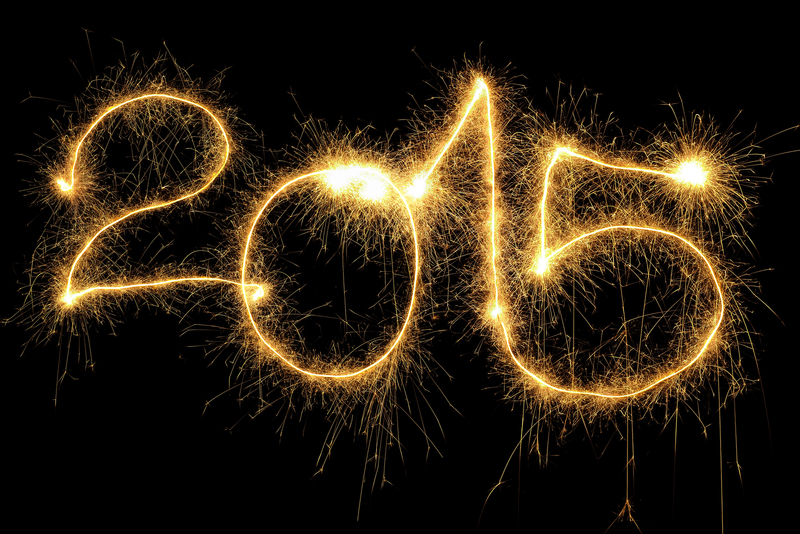 Yesterday, I’ve posted a little introduction of what to expect in the upcoming year. That’s right. I said it. IN THE UPCOMING YEAR. I’m doing this all in advance so you’ll never have to be without your beloved (free) Femoir podcast. You can subscribe on iTunes. You can also leave comments and rate it there. I’ll post show notes here as well later today. It’s finally here! OMG! It’s the new year! It’s upon us! For once I woke up not hungover and well-rested! It’s a miracle! I’m so excited! I love the first day of the New Year! Everybody is in the zone to self-improve and to think about all the ways they can be a better, more well-rounded person in the upcoming year. It’ll only last 2 weeks, but it’s the most fun 2 weeks of the year because I can actually talk to people about goals and the future and finding balance and nerding out on self-improvement books and inspirational quotes! AH! I, of course, have a bunch of resolutions and goals for the upcoming year. Truth be told, I still need to tweak and solidify many of them. I don’t take this shiz lightly, as my avid readers know. I have a general list of things I want to work on, but I need to go through and make them strong goals- clear, actionable, and reasonable. One of the biggest ones for me is getting my new business, Reasonable Revolution, off the ground. I’m offering goal coaching and consulting. I help people organize their life, strengthen their goals, keep the accountable for what they’ve promised themselves, and find ways to be more productive and effective on all elements of their life. I’m really freaking excited about it. Our mantra is that you can achieve anything you want… as long as you’re reasonable about it. I’m excited to help people do something that comes naturally to me. And I finally feel like I can give back a little using resources I’ve been (often unknowingly) accumulating for years. It’s my passion. So I’m stoked to share it with you. But I know that right now everybody’s got great energy and excitement for the near year, so they’ll be working on their goals on their own. But in 2 weeks or so, when you’ve realized you may have bitten off more than you can chew and don’t understand why you’re again not achieving what you set out to do and getting down on yourself… check out Reasonable Revolution. And we can help you get reasonable. *This was originally just going to be a post about the New Year and how excited I am for it, but I guess I got even more excited about my new Reasonable Revolution business so I kinda went all advertisy on you. 2015 me is already surprising me! Hooray! 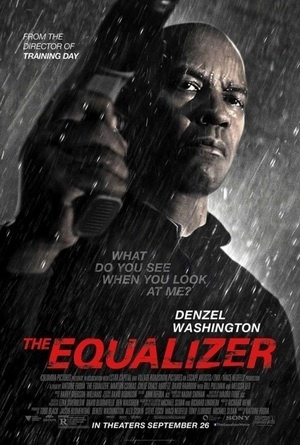 A little while back, I saw the movie “The Equalizer” with my boyfriend Denzel Washington. I went to support my boo, who was obviously spectacular. Actually, there was a scene in the movie when I legitimately squealed and jumped out of my seat out of excitement I couldn’t contain from him looking like such a badass. If you haven’t seen it, you should. But more importantly, there’s a nice theme that his character embraces. The idea is essentially “Progress, not perfection.” I’ve written about this idea before , but with New Years around the corner, it doesn’t hurt to be reminded. Every day with ever decision you make- big and small- you change the outcome of your future. Sometimes these are obvious and big changes. Other times they’re tiny tweaks. But they’re all important. And they all make a difference in who you will grow into. It’s ok to make mistakes. And it’s ok to not be perfect in a day. And, this is especially something I need to remind myself, it’s ok if you don’t get to everything you had on the docket for that day. The most important part is that you are being proactive about your choices. You are actively wanting to be better. You’re allowed to falter. You’re human. It’d be ridiculous to hold yourself to perfection constantly (only my boyfriend Denzie can do that). But if you at least recognize when you’ve made a mistake or when you’re engaging in a habit or choice that makes you feel bad or doesn’t serve who you want to become… that’s half the battle. Because when you’re self-aware and want to improve, you will slowly but surely take steps to make those improvements. This concept is important for me especially to embrace. I put way too much on my plate and am pretty consistent about letting some balls fall in order to juggle an unreasonable amount. And I get mad at myself for not being able to do everything I want to do. 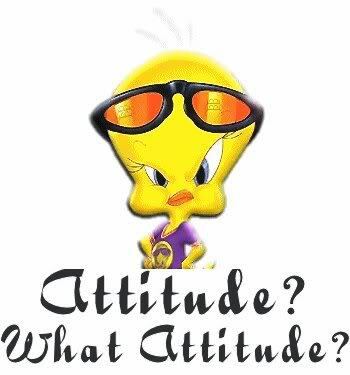 But I need to recognize that the only thing I can control is my own attitude and staying true to myself. If I’m working on improving at least one element of my life every day- even if it’s a small improvement- over time, that will add up and make a big difference. It takes years of slow pressure and tiny changes in order to create a diamond. So be patient with yourself and others. *I am not actually dating Denzel Washington. I know this is shocking to you. The rest of the article is extremely honest, but I may be slightly over-exaggerating my relationship with the major star. But look at him… can you blame me? It’s coming. Just a few short weeks away. It’s coming. And if you’re anything like me, you not only plan your New Year’s Resolutions weeks in advance, but you constantly recommit to goals throughout the year. The holidays are alright but New Years is when the type A planners like myself who love goals and productivity really feel like giddy little kids. As excited as I am, I’m already anxious. I’m anxious at the number of people who will be at the gym again. I’m anxious about how many people will be setting themselves up for unachievable goals without action plans associated with them and how I will have to see them slowly get frustrated as the months wear on. I’m anxious I’m going to overshoot my own goals and be thrown off when life has obvious other plans for me. But I know that the anxiety means I need to be realistic about what I want to accomplish and how to achieve it. And it means I need to make sure I keep up my meditation so I can keep my wandering mind in check. So if you haven’t yet thought about New Years, start thinking about it. Because it’s never too early to plan and it’s never to late to start! I just made that up. Just now. I kinda like it. I’ll probably hate it by the time I actually publish this post because I ‘ll realize how silly it sounds, but whatever. I like it for now so I’m keepin’ it. Over Thanksgiving, I had a serious boyfriend. He is the most handsome creature I’ve ever laid eyes on. His name is Romeo. Which is perfect for him because he is a love bug. My original goals over Thanksgiving last week were to be really productive and to finish up a bunch of projects I was working on. But then I got to hang with my boyfriend Romeo. And here’s the thing- I actually relaxed. Over a holiday. Can you imagine? If you know anything about me, you know I LOVE work and be productive. But I also LOVE dogs. And since I have a crazy schedule at the moment, I don’t really have time for a dog. So I live vicariously through other people’s dogs. Like the perfect and sweet Romeo. And it was actually really wonderful. We went on several walks every day. Sometimes he would come over and look at me and I would know it’s time to stop working and give him attention. And we would snuggle for long periods of time. And I would actually relax. Like deepbreathsmilingandgigglingathiscuteness-style relax. And it was wonderful. And a real vacation. And dang… I needed it. And yeah we took a lot of selfies. Look at him. You’d do the same and you know it. Thank you, sweet Romeo for getting me to stop, drop, and roll around with your cuddly-cute-self. You’re my most successful romantic relationship to date.